Staff at Amazon's Hemel Hempstead warehouse are preparing for millions of orders to pour in during the lead up to Black Friday. Workers at the firm's Hemel Hempstead fulfilment centre are packing deliveries around the clock ahead of the unofficial kick-off of the Christmas shopping season on November 23. 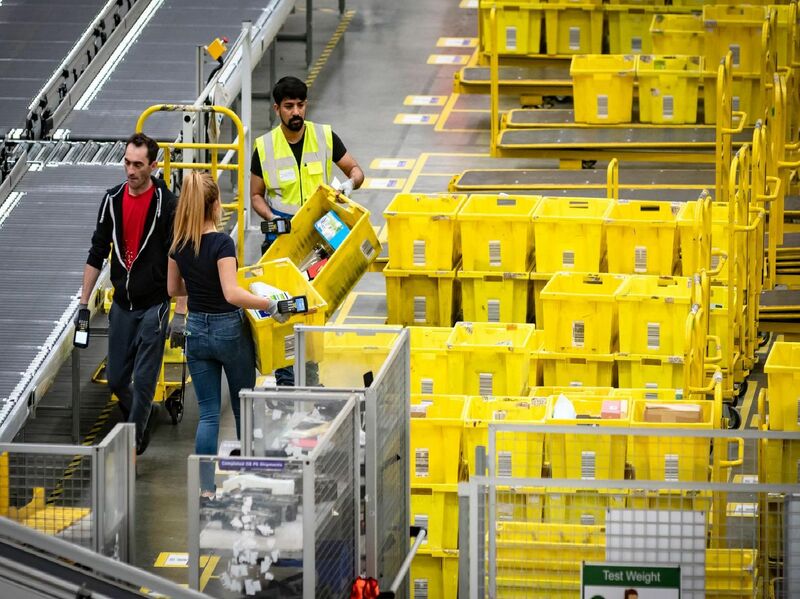 Staff at the Amazon warehouses are the real-life version of Santa's elves as they are pictured packing must-have Christmas presents at the busy "fulfilment" centre - which holds millions of items. These images show the chaos involved ahead of next week's big sale event. It is packed ahead of early birds cashing in on the highly anticipated Black Friday discounts a month ahead of the big day. The website's Black Friday Sale will run for ten days starting from tomorrow (16 Nov). Their sale will offer thousands of deals on the latest consumer electronics and Amazon devices as well as this year's must-have toys, games, fashion, jewellery, beauty, and home items. Amazon will be creating over 20,000 seasonal roles in the UK for Christmas 2018.